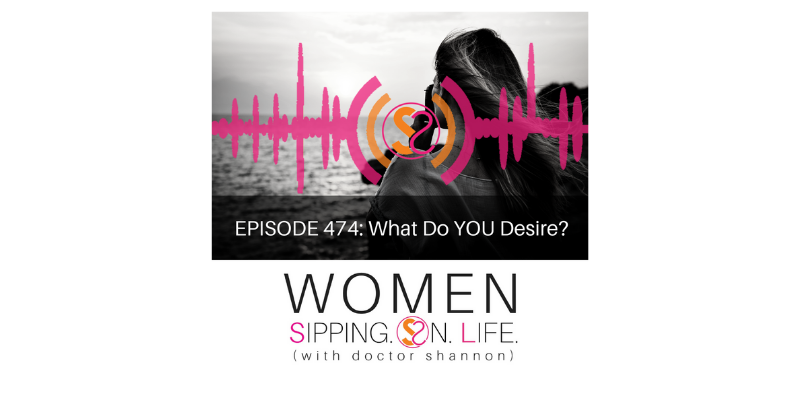 EPISODE 474: What Do YOU Desire? This list of questions will help unlock your desires, as long as you ask…and listen. Today I’m going to help you remember, and possibly resuscitate, your desires so you can begin to live the life you’ve always dreamed of. Your desires lead and guide you. We, as humans, seek what we desire — consciously or unconsciously. Desires are far greater than wanting. Wanting can seem daunting. DESIRES inspire and lift you higher. Are you willing to become conscious today of what you truly desire? – What did you once imagine? – What gives you energy? – What makes you feel SO ALIVE? – What do you make excuses for? – What are you willing to do for free? Allow it to speak to you. What would you DARE to IMAGINE today? Are you willing to allow it to become your LIFE’S WORK?